NEW THIS YEAR – “Sponsor a Watershed Group Golfer”: We would like to give community group representatives a chance to get out on the green, but let’s face it nonprofits are trying to make a lot happen on a “shoestring budget,” and splurging for a day on the green isn’t always seen as a priority. We look at it this way, there’s lots of other things to talk about than who got the hole in one – It’s a great networking opportunity! Buy a watershed group member a day out on the green (please write “watershed sponsor” in the comments, so we know we need to find some golf clubs). 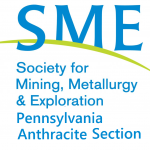 This year’s conference will provide a forum for the dissemination of information and encourage discussions between industry, watershed groups, and decision makers that can help to further innovations in public policy, abandoned mine reclamation, remediation, and restoration of PA’s watersheds and communities impacted by AMD and abandoned mine lands. Collaboration is essential!